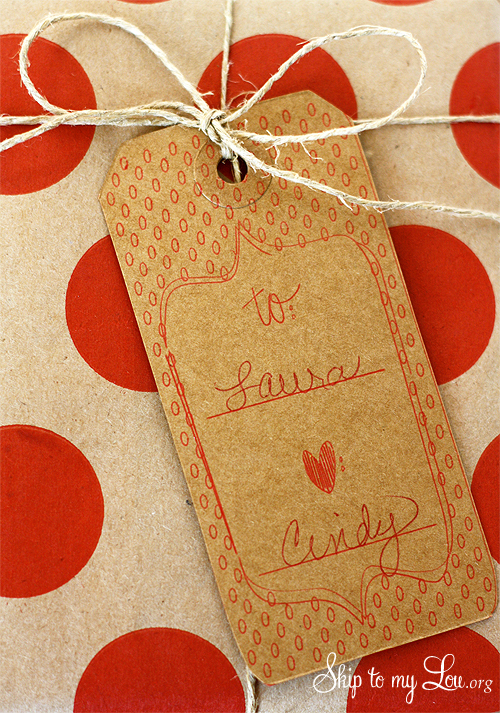 Make that gift extra special with a handmade gift tag! The Silhouette makes it easy! Just replace the blade with one of their many colors of sketch pens. The Silhouette website is full of designs that can be downloaded for .99 cents. I found this little sketch of a gift tag. I thought it would be perfect on pre made office type hang tags. 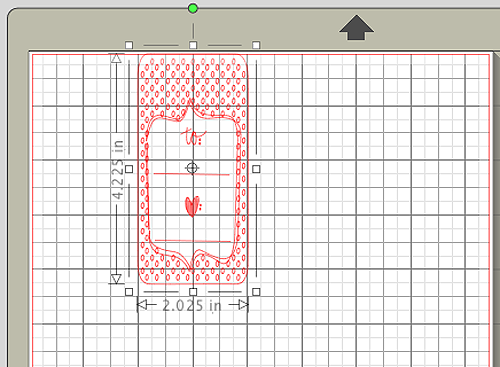 I sized the image to the size of my tag. 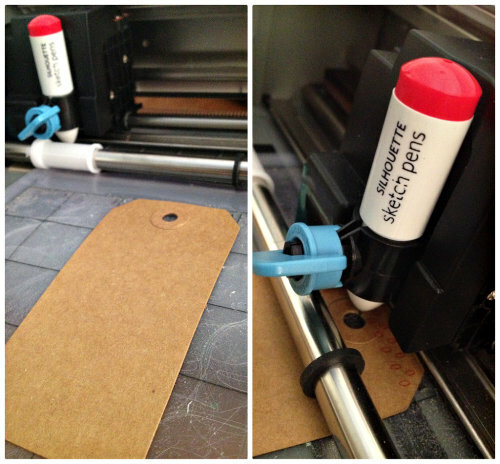 Place the tag on the cutting mat and go! I found it easier to place the tag over two inches. The possibilities are endless! I already have some more ideas for holiday gift giving. Start getting prepared for a handmade holiday by browsing my Handmade Gift Guide. I hope you will find loads of inspiration! Yay! Thank you so much I am so excited! What a neat idea! Cant wait to win the machine so I can try the idea! So many possibilities - would love to win such a generous product! I would love to have the Portrait. Especially since the Holidays are fast approaching. Thanks for this awesome giveaway. What a great opportunity to win a fantastic machine! Thanks for the opportunity. I would love, love, love one!!! This would be an awesome idea for this years gifting season. Thanks for sharing the wonderful idea. Really wish I had a Silhouette of any kind. I think it would surely make my crafting so much more fun and a bit easier too. Love your creations. Have a crafty day and a fabulous creative weekend. I would love to win one of these, it would make a wonderful surprise for my birthday tomorrow. Nathan's for the opportunity and all of the creative ideas you share! I dream of all the things I could create with one of these! Not to mention all the INCREDIBLE inspirational ideas you share! Thanks for the opportunity. LOVE this idea! 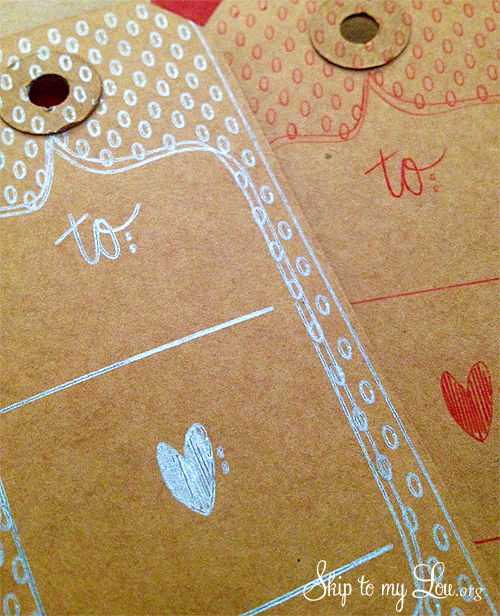 Never thought of doing gift tags like this! THANKS!